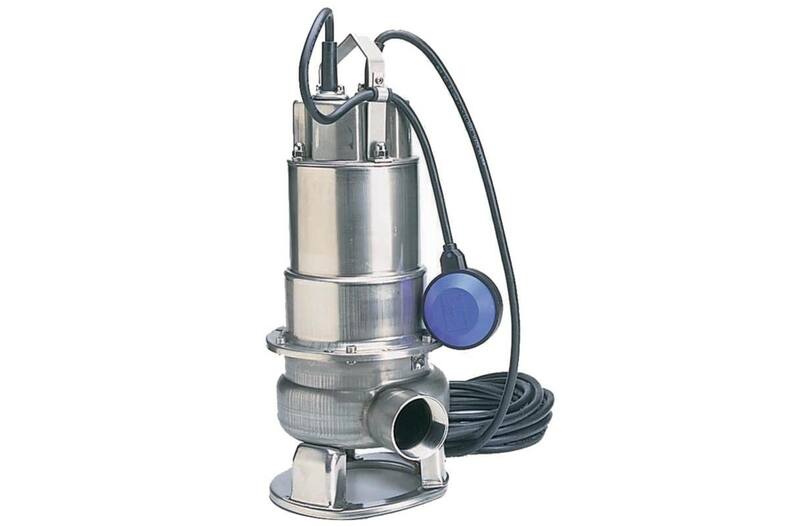 1/2hp, 115V submersible trash pump: 115 Volt operation allows the pump to be plugged into a standard outlet. (GFCI is recommended). Solids handling up to 2.0": Move slurry and dirty liquids without the worry of damaging the pump. Lightweight, durable stainless steel casing: The pump won't rust or corrode, minimizing costly repairs and replacement. The 304 stainless steel is an industrial grade, again minimizing damage and reducing the need for repairs. Side discharge: Side discharge submersible pumps offer higher discharge and solids handling capabilities of up to 2 inches. Oil lubricated double mechanical seals: Oil lubricated double mechanical seals prevent damage to the seal if the pump is run dry. Dimensions (WxH): 9.0 in. x 21.5 in.